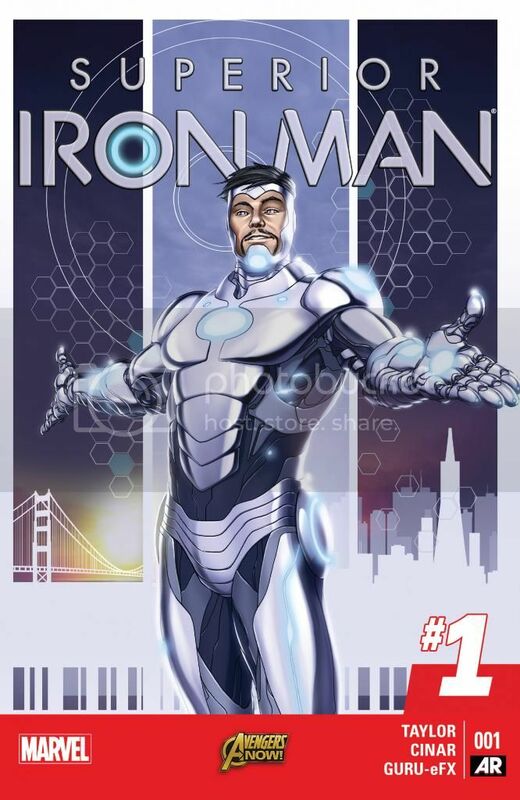 Superior Iron Man #1 (Published by Marvel Comics; Review by Draven Katayama; ‘Rama Rating: 8 out of 10): This is a gorgeous introduction to a new status quo for Tony. Tom Taylor has Tony in San Francisco enhancing select members of the populace into physically superior specimens. I like how Taylor contrasts Tony’s self-absorption with the responsibility-mindedness of three familiar characters: Pepper, She-Hulk, and Daredevil. Taylor’s dialogue flows smoothly and delivers conversation clinchers, particularly Daredevil’s, without forcing humor. Yildiray Cinar uses height and perspective to give added athleticism to Daredevil’s leaps and poses. Cinar’s She-Hulk may be one of the best depictions of the character. Most impressively, Tony’s new armor colored by Guru-eFX is near blinding in its metallic gleam. Taylor is writing the unique story where we will be rooting for the protagonist’s foils – Pepper and Daredevil – to keep him in check.